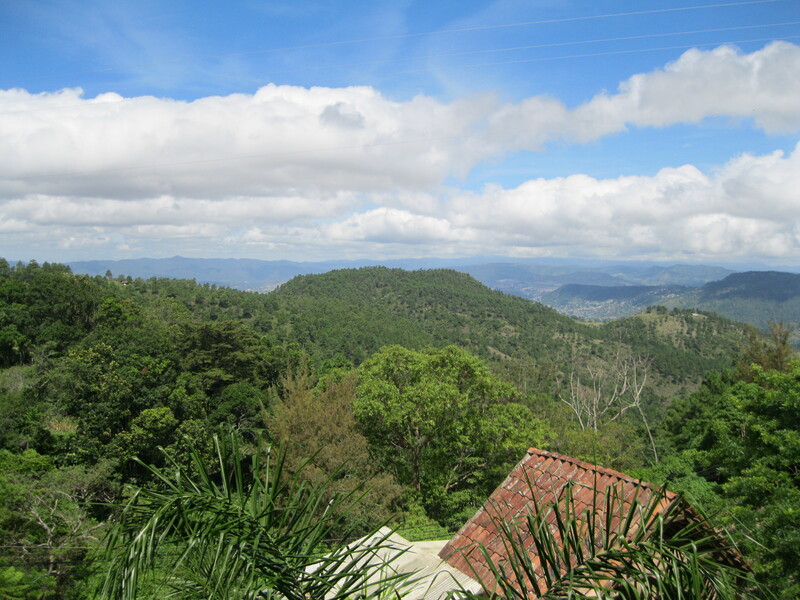 Santa Lucia is a beautiful little mountain town, outside of Tegucigalpa. It is about 7 miles up the hill, and you can get public buses in Tegus. It’s a great place to visit for fresh air, and for some shopping around the lagoon (nursery and flower places, souvenirs, a few small eateries). I haven’t ever stayed in a hotel in Santa Lucia, but there are a couple on the main road. There are several nice restaurants as well. There is a market on the weekend, and the views from the Cathedral to Tegucigalpa and also from the nearby Municipal Building are worth the trip. Sambo Creek is an amazing destination in Honduras. It is just about 10 miles from La Ceiba, where there is an international airport, so it is relatively easy to get there. You could stay in La Ceiba at any one of the fine hotels there, and visit Sambo Creek as a day trip from there. The atmosphere in Sambo Creek is laid back and beachy. 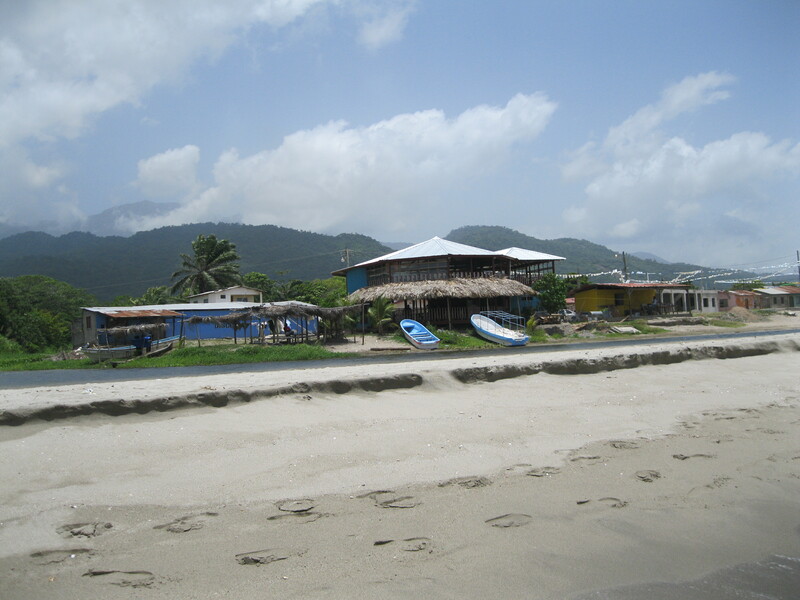 The Garifuna people live here, along with other ethnic groups, and they have their own language and musical traditions. The views are amazing, with the Pico Bonito National Park as the backdrop, and small boats zipping back and forth to sea to fish or to go to the Cayos Cachinos islands. There are a few restaurants with traditional fare in town. There are also some very nice amenities nearby, if you are looking for more luxury. 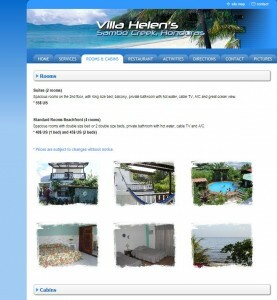 There are two hotels in Sambo Creek that are run by foreign ex-pats, Hotel Helen and Hotel Canadien. Helen’s has a lovely pool and restaurant and it is great to visit for a meal or there are charming economy rooms ($45 most nights), all right on the beach. The Hotel Canadien has even more rooms. Also just down the road from Sambo Creek is the mega-development, Palma Real, which in all sincerity deserves its own post. 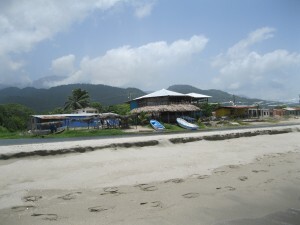 Semana Santa is big for Sambo Creek, like most beach areas in Honduras. There will likely not be any hotel rooms available during Semana Santa unless you plan ahead (nearby La Ceiba can fill up too). But the beach is very big and open here, so even when the big crowds start partying, it feels like a long way from the mainstream locations. Here is a little map to show how close several hotels are in Sambo Creek. 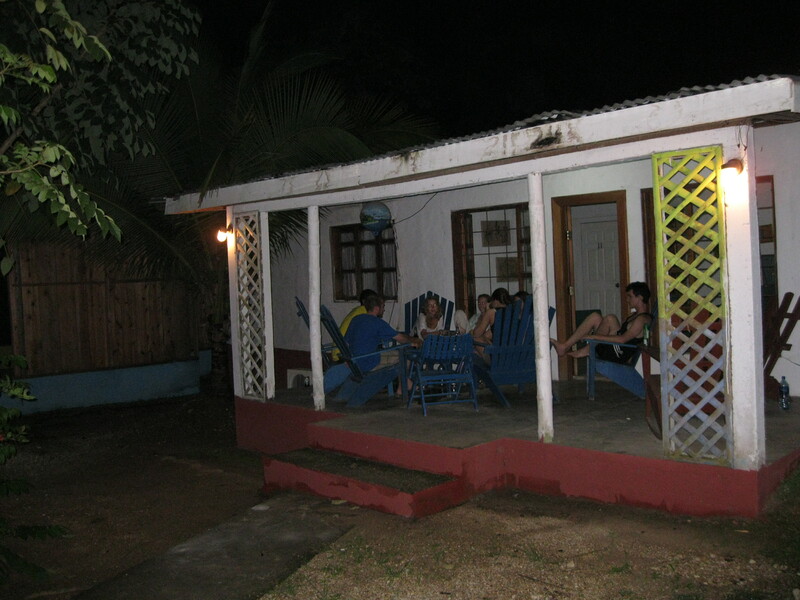 You could stay here for a long time, either at Helen’s or in La Ceiba, and learn to live with the Garifuna people, or visit the many amazing local nature preserves. 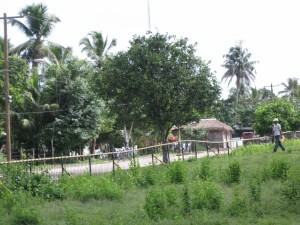 The Rio Coco is like a giant highway for the Miskitu people (miskitu uplika painkira, my beautiful Miskitu people). Waspam is one of the busier small ports on the river, deep in the heart of the Miskito Coast. How do you get to Waspam? Good question, because it is seriously off the beaten track. We were in Puerto Cabezas (or Bilwi), which has an airport with connections to Managua. From Bilwi we went by private vehicle on a fair dirt road to Waspam. It took about 3-4 hours in a 4wD pickup, and we stopped for snacks once. Once you get to Waspam it is actually a nice town for tourists. We stayed at the Hotel Rose, which is owned by the Cunningham family, who also own the Casa Museo hotel where we stayed in Bilwi. We were just part of the family. Porch at the Hotel Rose. We enjoyed it greatly in the evenings. There are several comedors in Waspam that serve a typical meal at lunch and dinner. 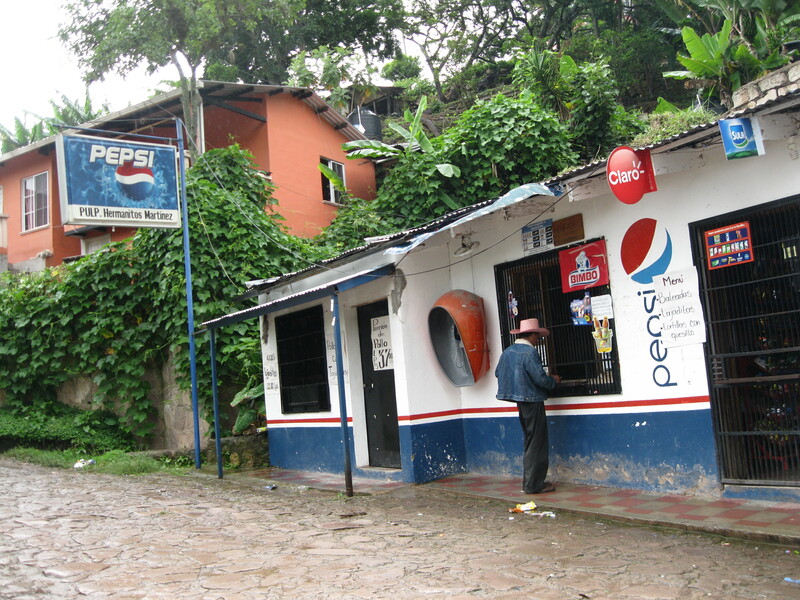 There are also many small shops that serve snack food and water and beer. Waspam is pretty easy to navigate. 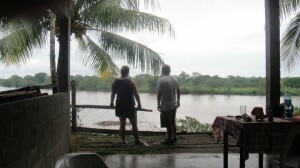 We are on the Nica side of Rio Coco, across the river is Honduras. This is one comedor where we had a great lunch. The dining room is right over the river. If you didn’t drive to Waspam, about the only other way to get there is by river, so this might be the way you came in. You can travel by river to other communities up and down the border between Honduras and Nicaragua, and eventually you could get boat rides out to the coast, to arrive in one of the coastal towns of Honduras, like Puerto Lempira. Waspam has internet cafes for your communication needs. It is such a groovy place to hang out, in the middle of nowhere, but still with plenty of traffic and action and services like food and drink and entertainment. It is deep in Miskitu country too, so you can drop your Spanish, and say “miskitu bila aisisna” (I speak Miskitu! ), or at least “drapkum” (a little). Semana Santa is the best time to visit Comayagua, to see the sawdust carpets. Comayagua is a good historical destination. The main plaza has great colonial architecture, including the city hall and the Cathedral. Inside the Cathedral is a very old clock, sometimes considered the oldest working clock in the Americas. It was confiscated by the Spanish Government from Alambra and sent to the Noble at Comayagua in 1537. Pretty old! During Easter Week, on Good Friday there are parades and carpets. 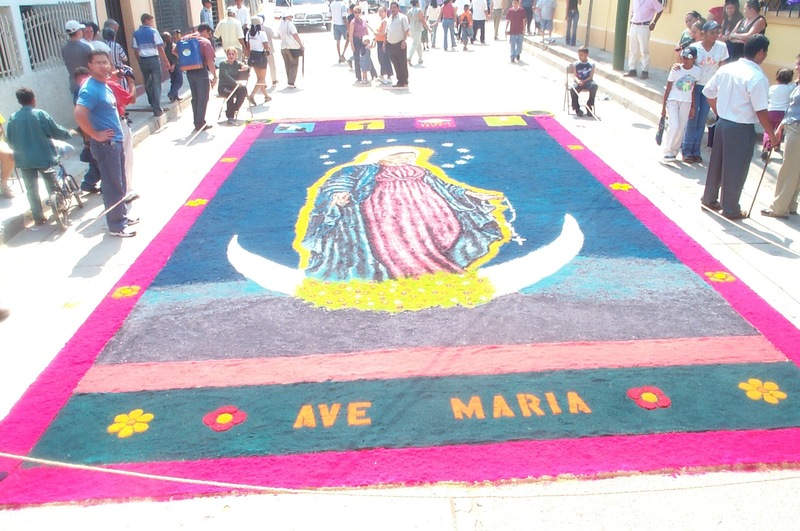 You can find these types of processions in many Honduran cities during Easter Week (including Copan and Tegucigalpa), but Comayagua is one of the biggest displays of carpets. There are several nice hotels in Comayagua, typical of a bustling small city, including the Santa Maria de Comayagua and the Hotel Antigua. You can find info about hotels on Facebook or in Spanish at Ven a Comayagua. For a great traditional Honduran meal, go out to the Atoleras on the Highway. There are several places that make famous Honduran traditional foods, such as atol (a beverage of thick corn starches with spice), tamales (meat and veggies stuffed into a cornmeal wrap and boiled or steamed) and tamalitos (sweet young corn tamales, usually without any stuffing, and with white crema). It is all very delicious and local. The atoleras don’t seem to have any websites up, so you will have to ask a taxi driver. 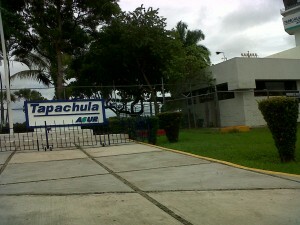 A great starting point for a trip through Central America, Tapachula is, to me, a bus and airport kind of city. 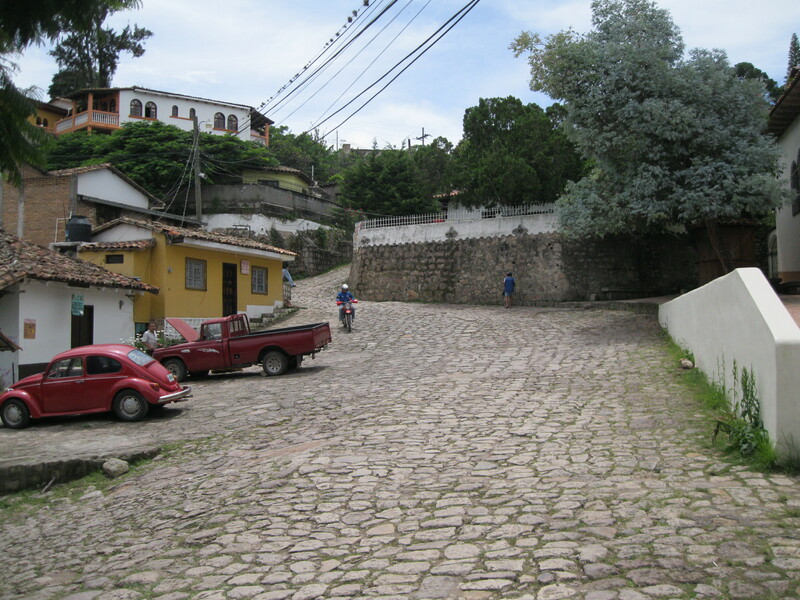 It is where Mexico ends and Guatemala starts, and there are lots of transportation hubs. 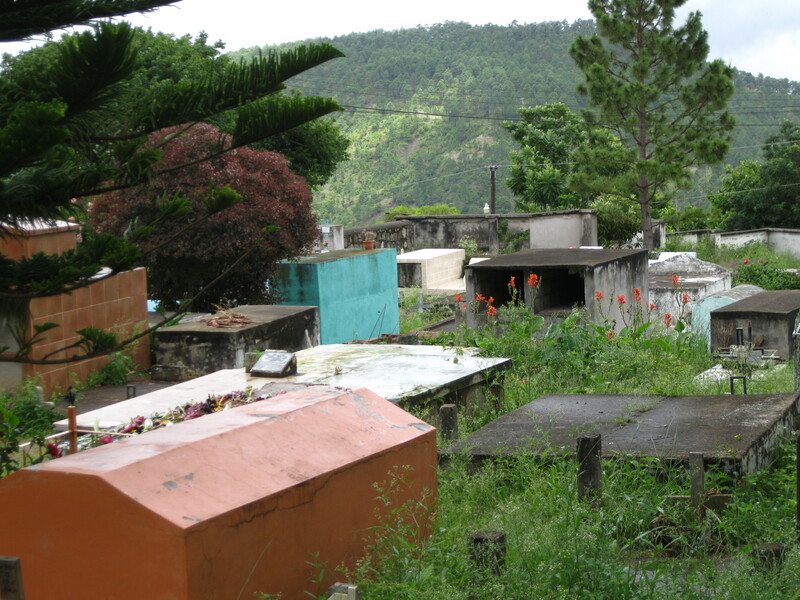 This is a great stop on a bus ride from Mexico City, and there are connections to Guatemala City, San Salvador and points south. You can catch your first leg of a Tica bus here, which might take you all the way to Panama. The town is a busy little place, and they have a Holiday Inn, which is my choice, since I can book it with my membership. Hotel staff are very friendly, and if you don’t believe me, you can read what they say about Tapachula in general on TripAdvisor. I was amazed that there were such positive reviews for many places to stay, considering the fact that this is not exactly Acapulco or some other tourist destination. I can spend at least one night, banking for a border crossing, eating and drinking in a bustling metropolis before a long bus ride. Sitting with other travelers in the hotels, and making plans for the next destination. There is also an airport in Tapachula, which comes in handy if you decide that you are tired of roughing it out on the highway, and you would rather just fly this leg of the journey. There are AeroMexico flights to Mexico City, Guatemala City, and connections to other places like Cancun and Roatan. Never a dull moment in Tapachula. New in the Kindle eBook store, Honduran Law: A Memoir by Melanie Wetzel. If you don’t have a Kindle yet, check them out. The paperwhite models start at about $70, and this HD Kindle Fire is the top of the line. I spend a lot of a time on my Kindle, after three years. Netflix and Amazon Instant Video go with me everywhere.